Fresh Start Carpet Cleaning is the most reasonable priced carpet & upholstery cleaning company in South Jersey. 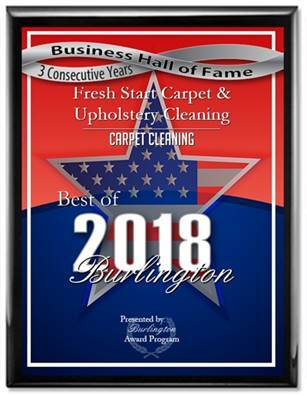 Our discount carpet cleaning prices are lower than other carpet cleaners that offer the same professional carpet cleaning service using truck mounted equipment. We offer military discounts on our carpet & upholstery cleaning services. Fresh Start Carpet specializes in pet odor removal, pet stain removal, scotch guard application and deodorization. Our steam cleaning process is fast drying. Professional carpet cleaning will reduce allergies, remove pet hair, bacteria, pet dander and odors from your carpet.